This fishbowl is made much like a real gumball machine except that it won't leak. The base is heavy die-cast metal and the globe is actually glass. The cover is easily removable for feeding and cleaning. 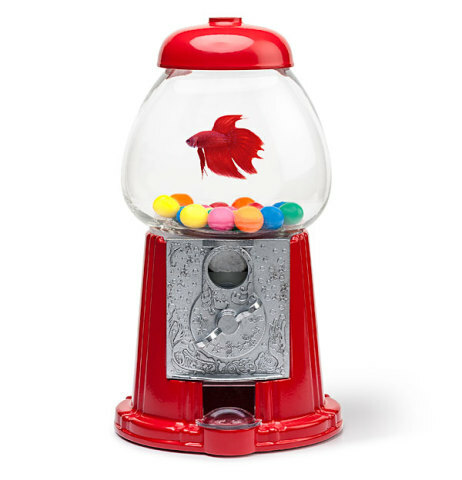 It comes with 20 decorative "gumballs" for your fish to hang out with. The manufacturer recommends that the bowl be used to house a single betta fish, though a small goldfish would probably work better since this is a very small fishbowl. You could also use it with a toy goldfish for a totally cool decoration. 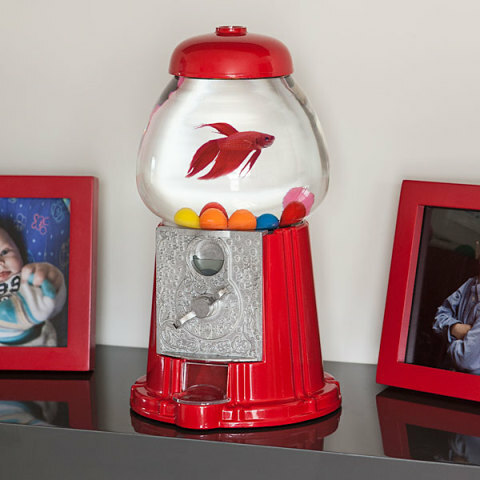 To order a Gumball Machine Fishbowl, click here.